One method of discovering that you have unwanted houseguests is by finding their droppings. 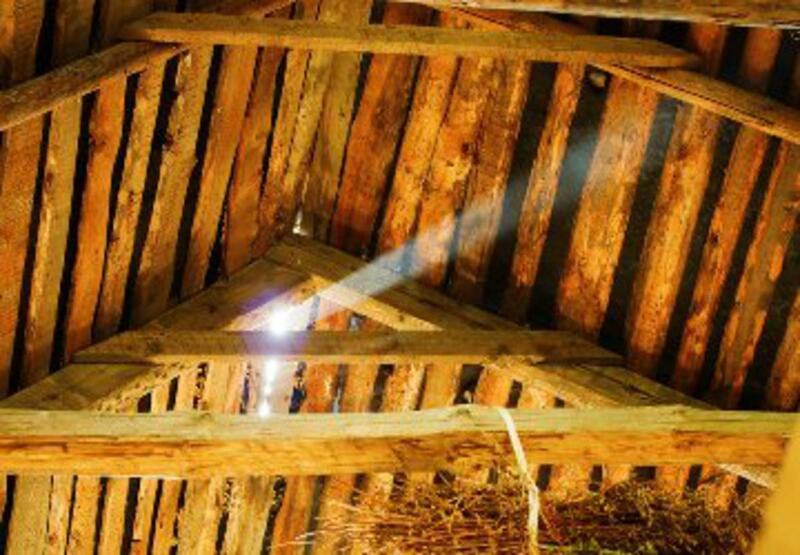 If you enter your attic and observe droppings, it is very important that you take care of your pest problem immediately, as these droppings can harbor dangerous diseases, many of which can be spread throughout your house’s ventilation system. One such disease is Hantavirus Pulmonary Syndrome (HPS), which can cause a lot of very nasty symptoms and is contracted just by inhaling particles from infected droppings. Health issues aside, having poop lying around any part of your house is just plain gross and unsanitary, so the problem should be addressed immediately. Also, be sure to clean up any sort of droppings in the proper manner to prevent the spread of germs. Another way to determine if you have pests is by finding holes in any sort of screens that are between your exterior and attic. Raccoons and squirrels will jimmy their way into your screens by prying them open or gnawing at them to gain access into your attic. Here is an excellent video on how to repair damaged screens to prevent them from regaining entry to your attic. Thoroughly check all of your siding and where your exterior meets your ceiling for any holes and use caulk, steel, and wire mesh as demonstrated in this video to seal them. Some rodents can gain access to your house through holes that are as small as a quarter, so be sure to be thorough while checking your siding and roof. After you have sealed the holes in your exterior, you need to find a good means to remove the pests from your attic. When it comes to removing the pests, there are many approaches. If you decide you want to be lethal, which I do not recommend for bigger rodents, you can use poisons and larger snap traps. The reasons I do not recommend these methods for bigger rodents is that if you cannot reach the corpse of the dead animal, it will start to stink. Also, poisons run the risk of hurting your pets and possibly your family if accidentally ingested. For nonlethal removal of pests, use small baited cages and check them on a daily basis. Some local municipal animal control centers will rent these out to you for free, and even come pick up the cages for you if you catch anything. Mothballs can be used to deter larger rodents from your attic, as can fox urine (gross!). The most important thing about using live-catch methods is that you check the traps daily, so you don’t end up torturing an animal by starving or dehydrating it. Once your pests have been removed, periodically check the areas that you have sealed off and look for droppings or other evidence that they have returned. If they have, double check for more holes, or to make sure the seals you have put in place are still intact.